Subject machine adopts the advanced technologies of internal and abroad. It's proved by the factories of high quality, high output, low power consumption, small area occupition, easilly operated, better impurity removal, safe and reliable. 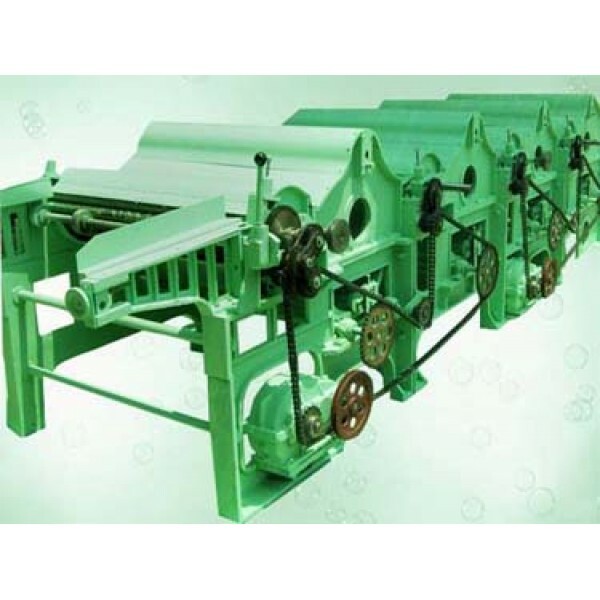 It's used to process materials such as lint cotton, quit cover, short fibers, seed cotton, waste yarn, rags and linen etc. C. Lickerin speed: first one: 1,900rpm; second, third and fourth: 2,100rpm; fifth: 2,200rpm. D. Feeding roller dia and speed: front roller: 40mm, 5.1rpm; back roller: 57mm, 13.4rpm.